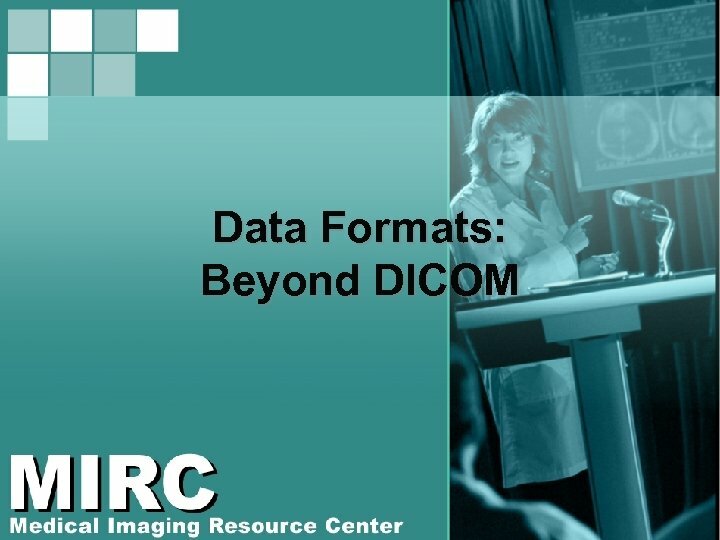 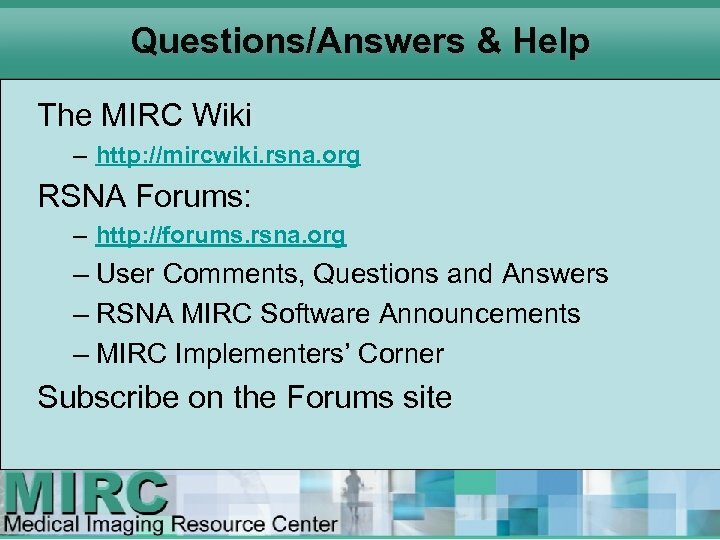 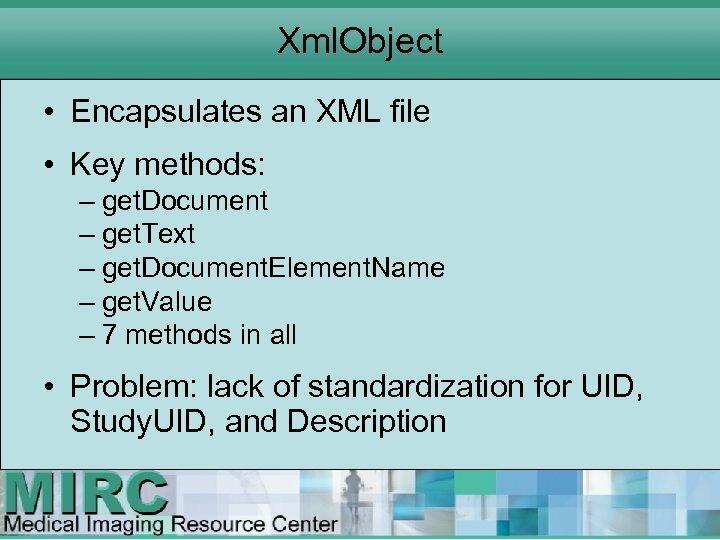 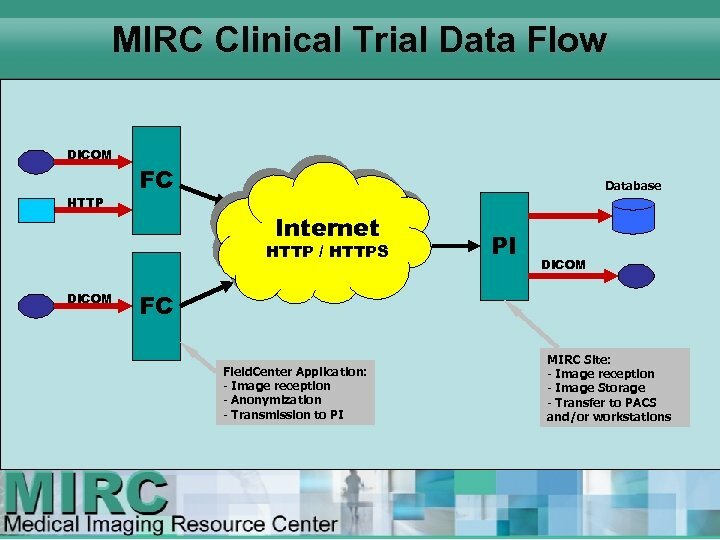 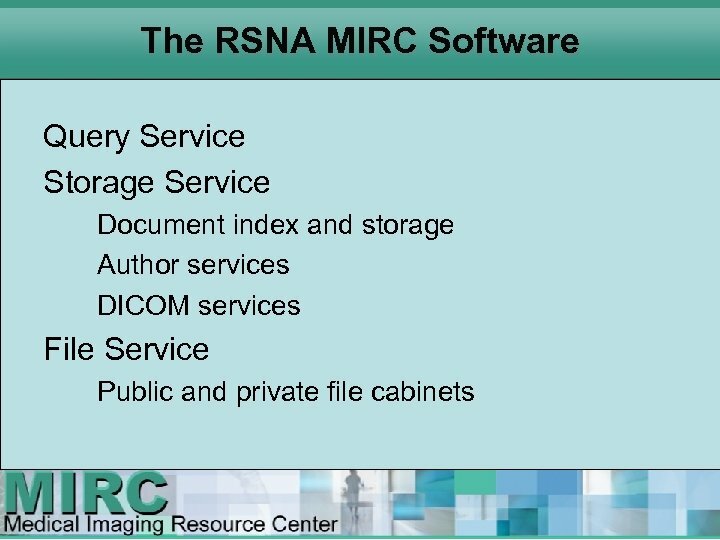 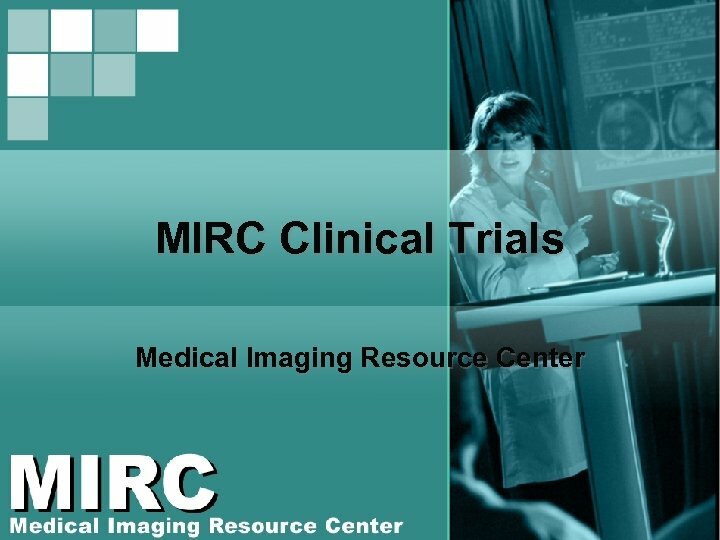 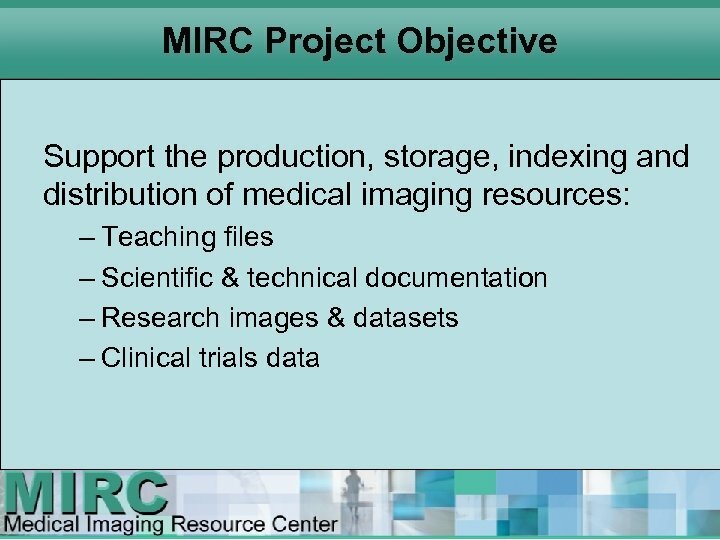 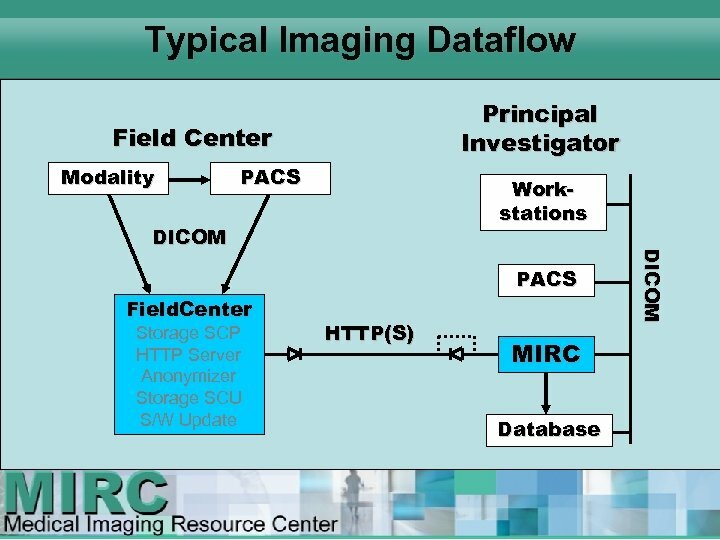 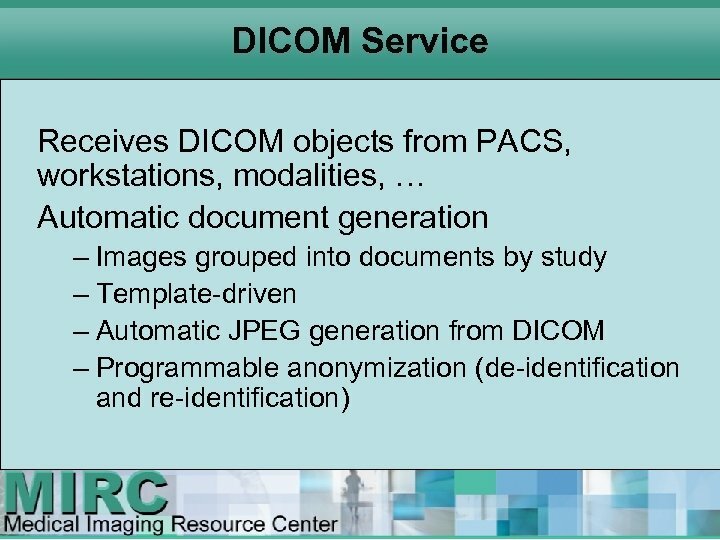 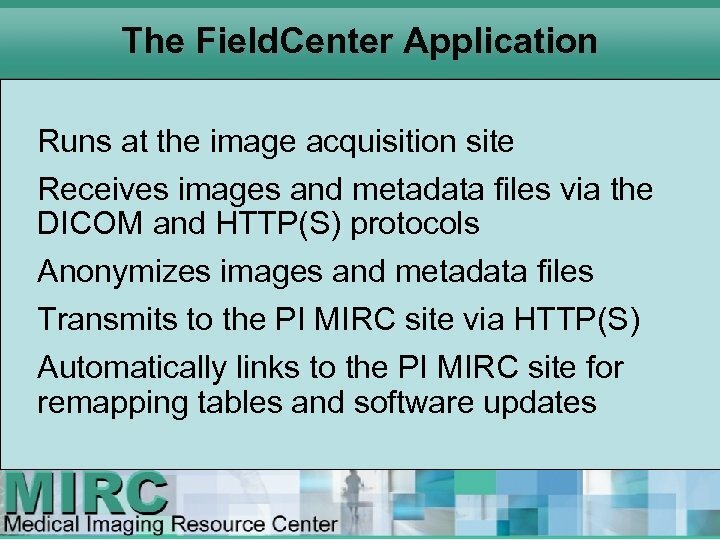 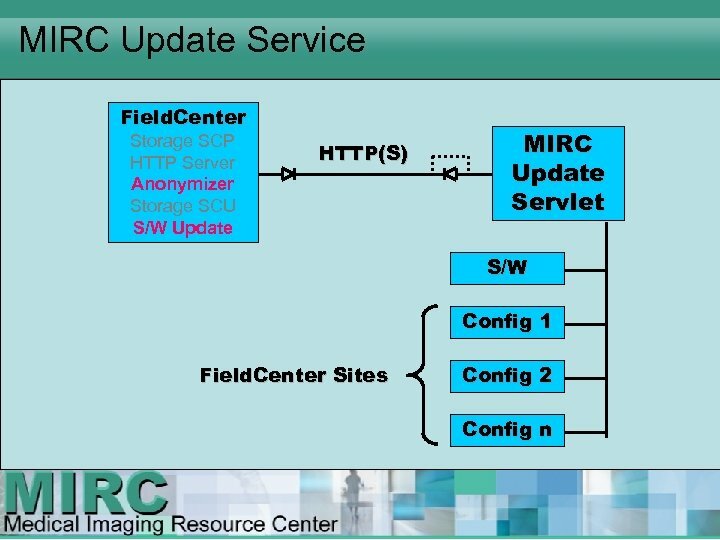 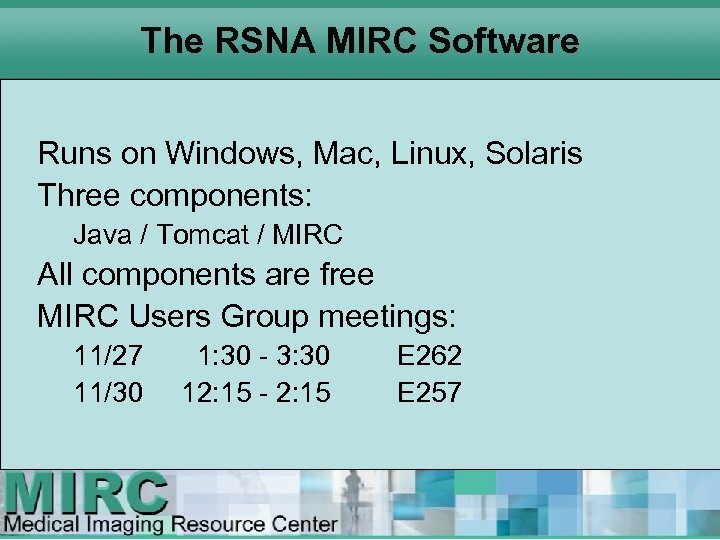 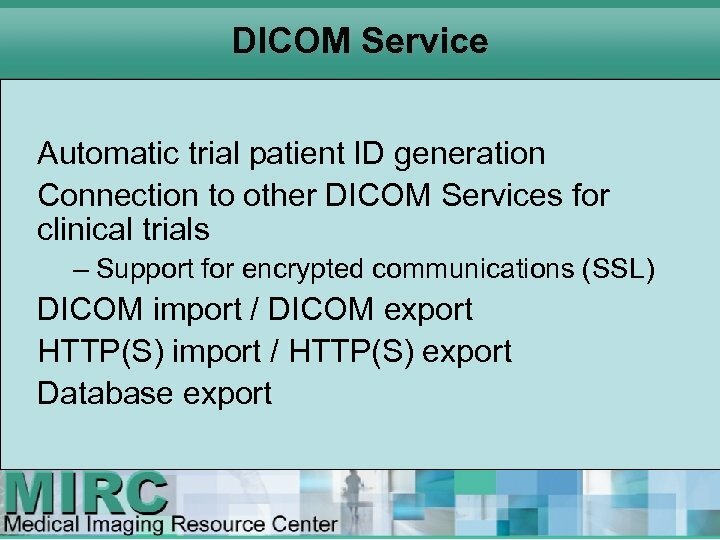 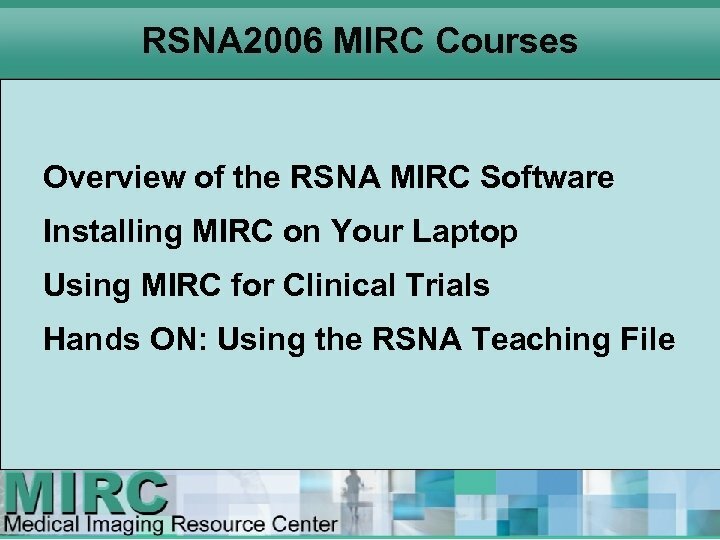 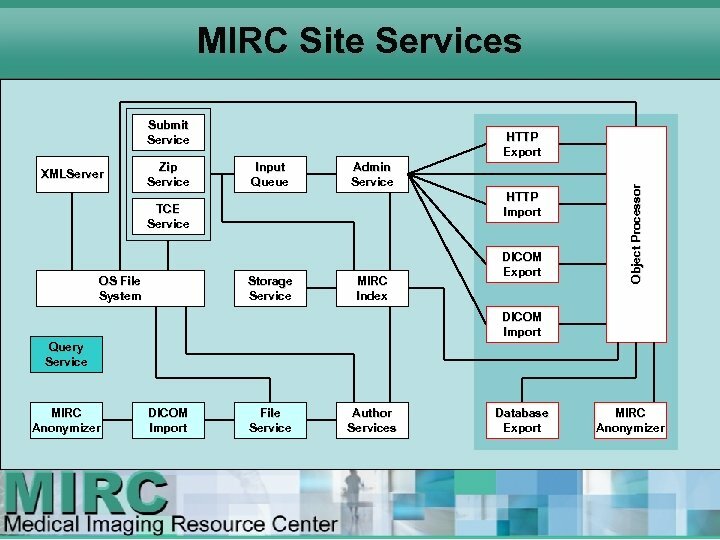 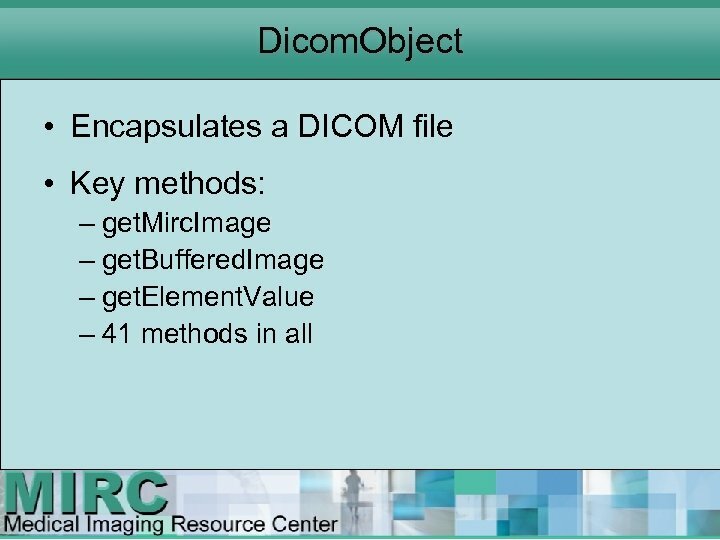 MIRC Concepts The key concepts: – MIRC is a community of cooperating libraries on the Internet. 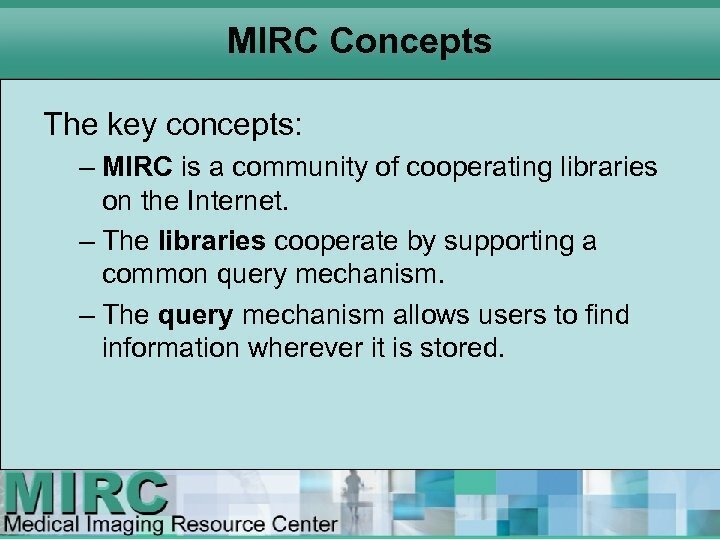 – The libraries cooperate by supporting a common query mechanism. 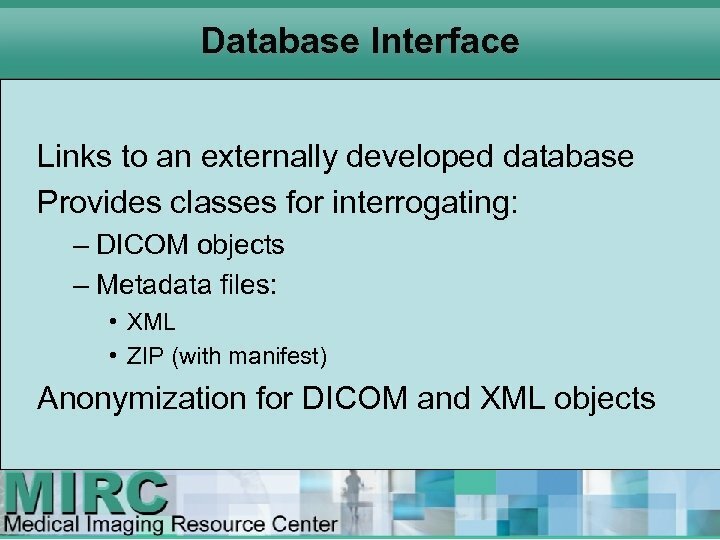 – The query mechanism allows users to find information wherever it is stored. 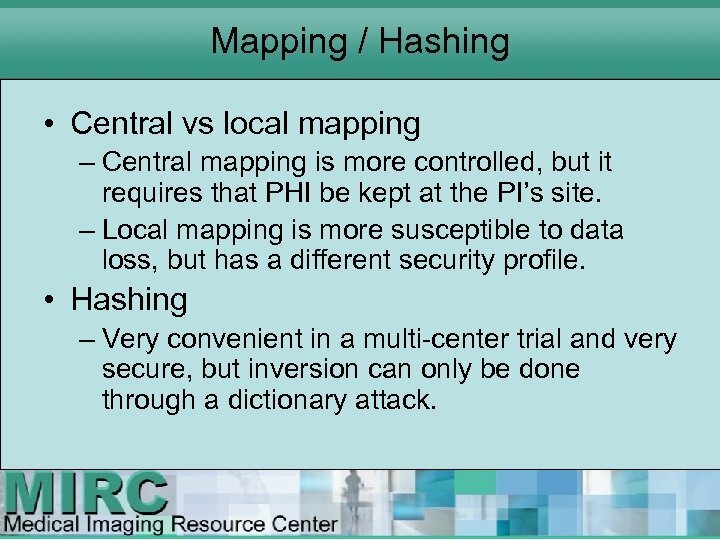 Mapping / Hashing • Central vs local mapping – Central mapping is more controlled, but it requires that PHI be kept at the PI’s site. 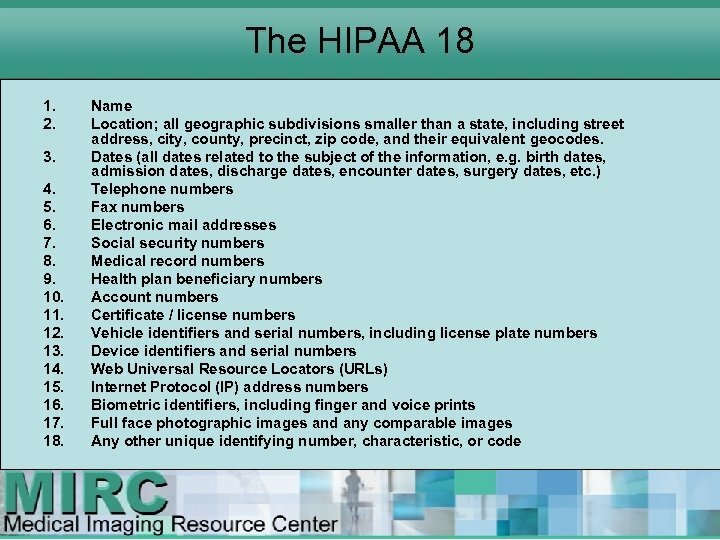 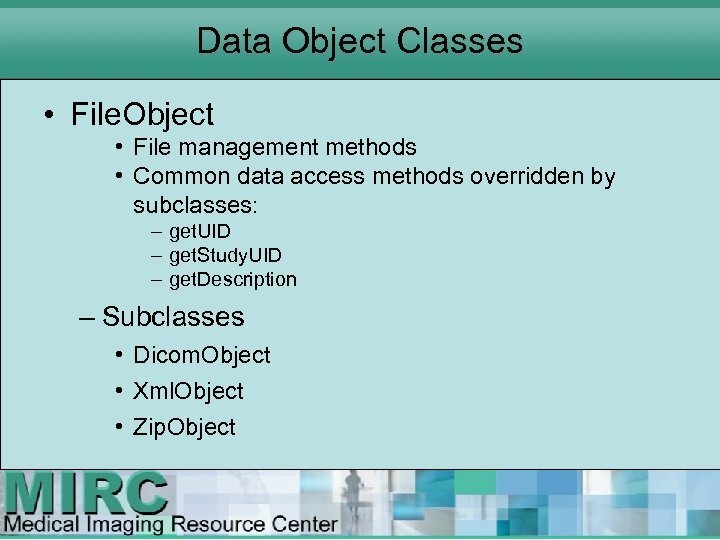 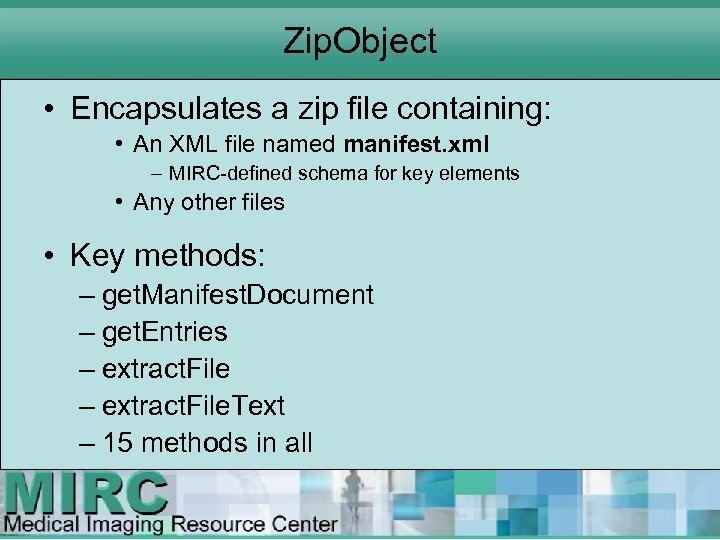 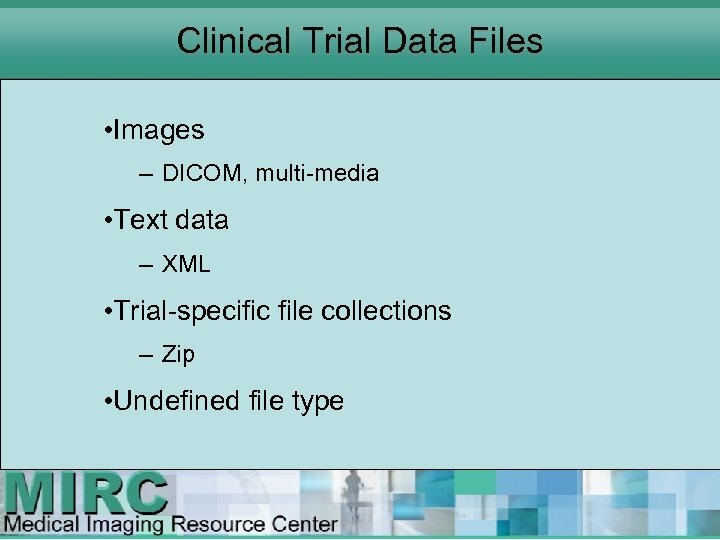 – Local mapping is more susceptible to data loss, but has a different security profile. 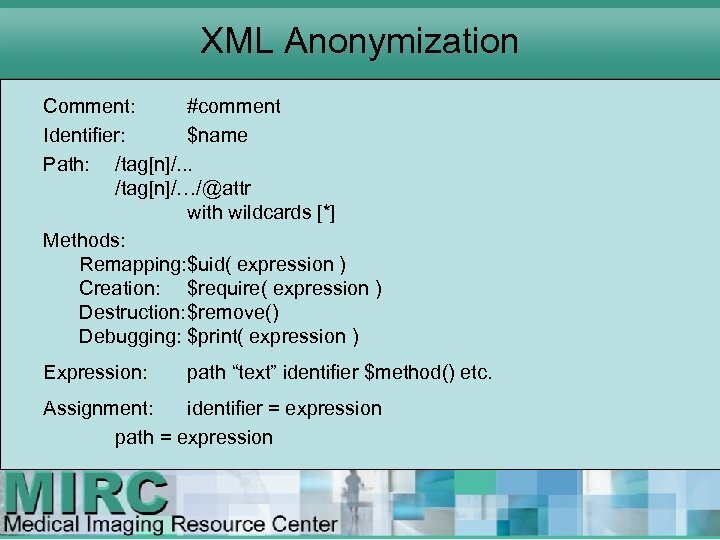 • Hashing – Very convenient in a multi center trial and very secure, but inversion can only be done through a dictionary attack. 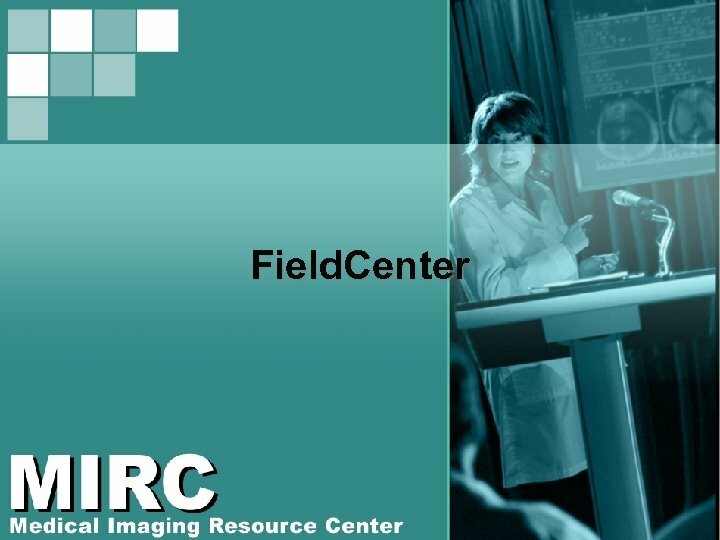 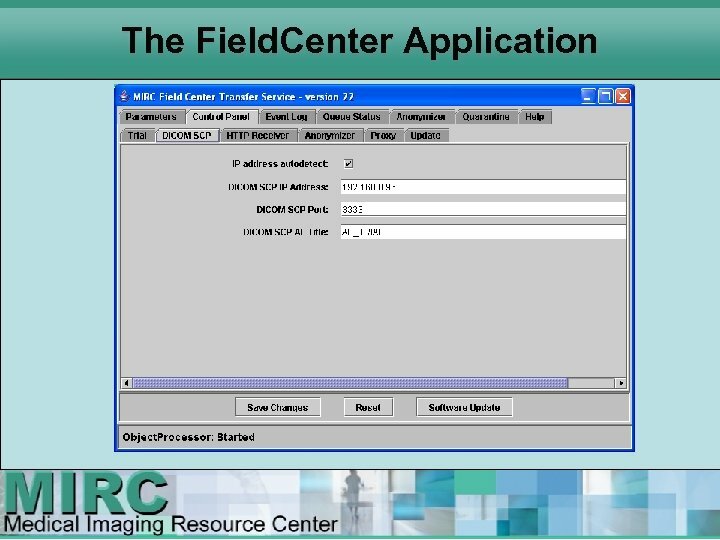 Lessons from Field Centers • IT support is almost unavailable. 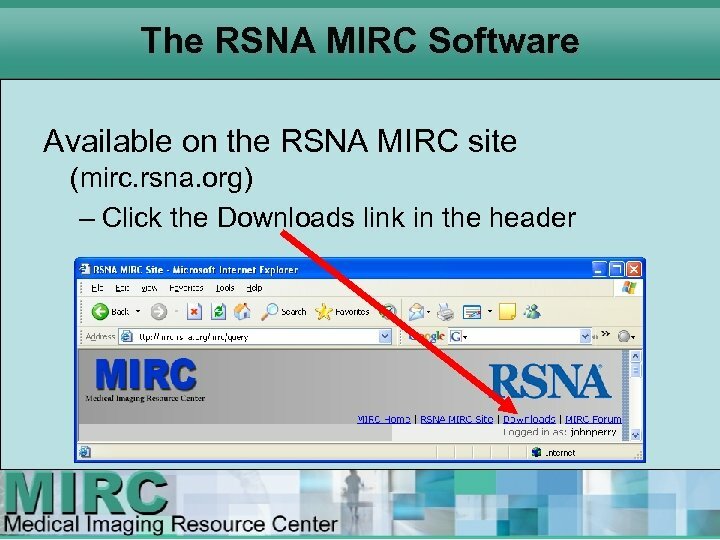 • Initial software installation requires a human being, but it should be simple. 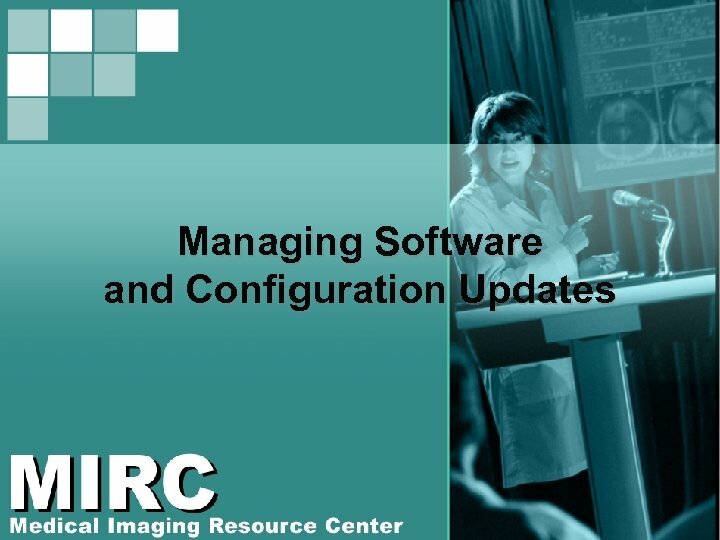 • Software updates should require a person to trigger them. 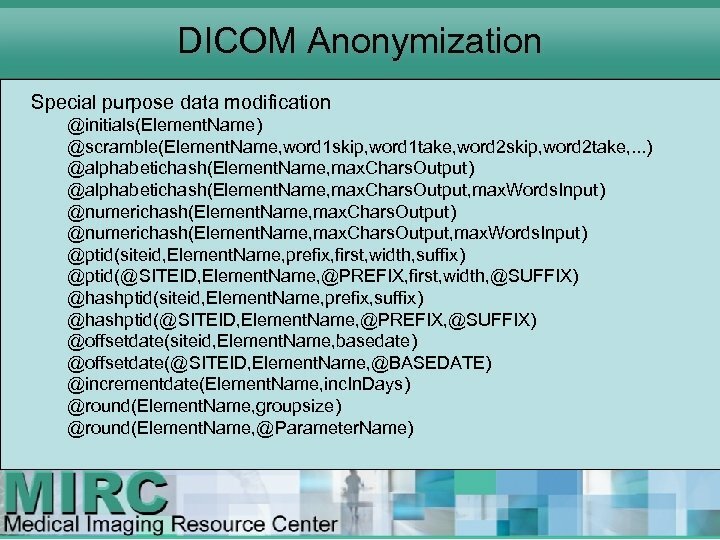 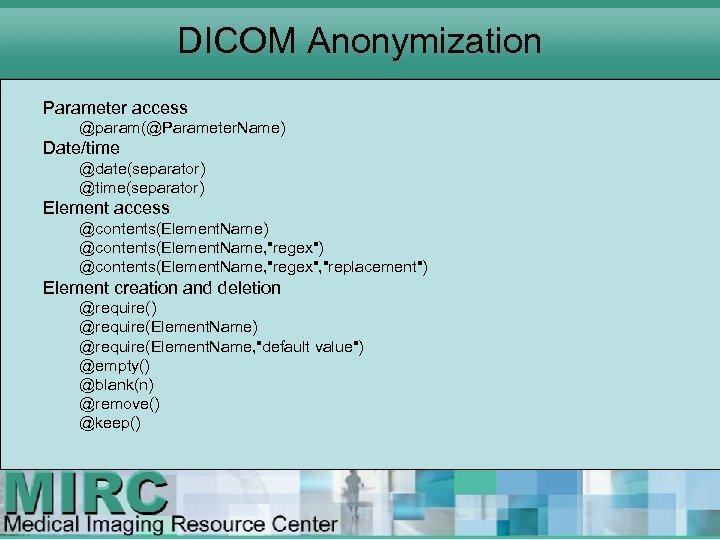 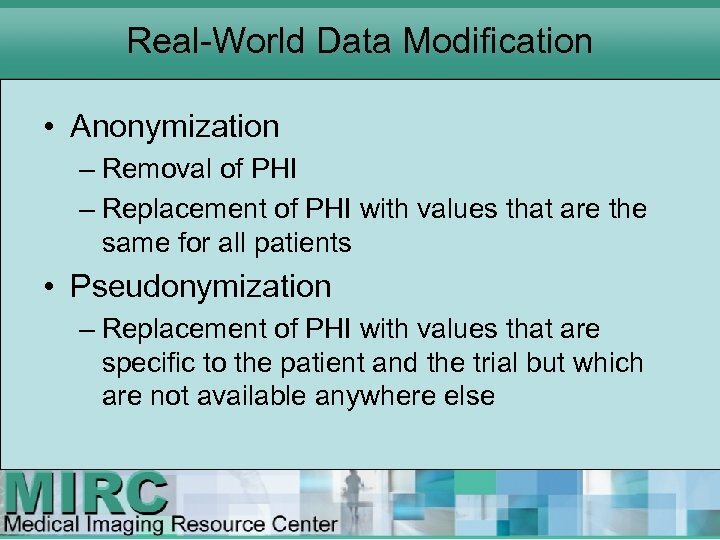 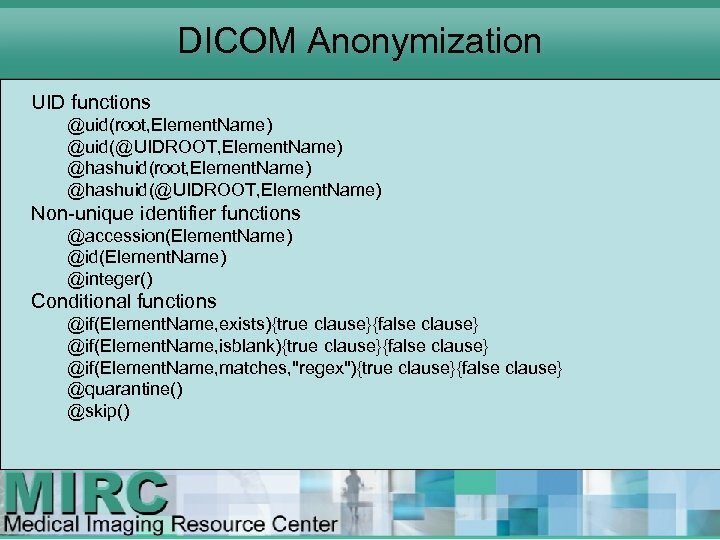 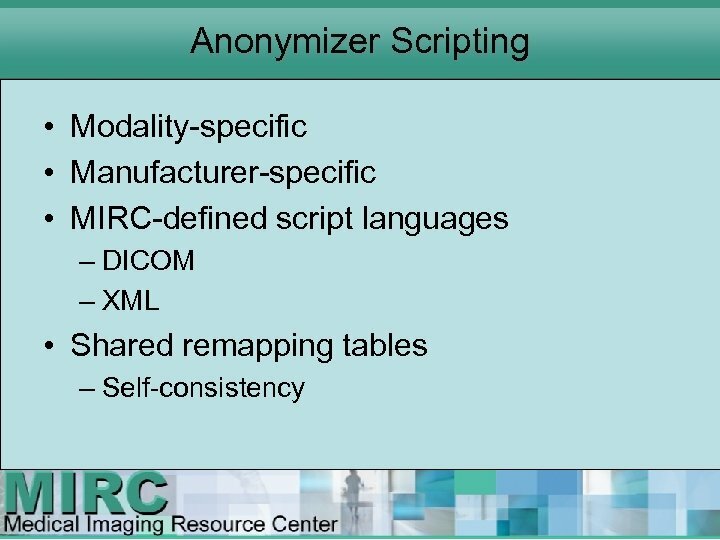 • Anonymizer scripts should be automatically updated.